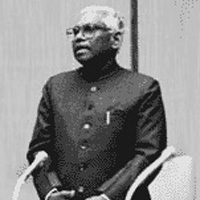 The Narayanan Lectures are among the major public lectures within ANU. They honour a past-President of India, Dr K R Narayanan. Each year this oration has been delivered by a major public figure. The list of distinguished speakers includes Dr Raja J. Chelliah, Professor Jagdish Bhagwati, Professor U R Rao, Mr P. Chidambaram, Dr C. Rangarajan, Professor Lord Meghnad Desai, Professor Pranab Bardhan, Dr Vijay Kelkar, Professor M S Swaminathan, Dr K. Kasturirangan, Dr R. Pachauri, Ms Sunita Narain, Professor Roddam Narasimha, Mr Montek S. Ahluwalia, Dr D. Subbarao and Dr Kaushik Basu. We would like to thank the Australia-India Council, the Australian Bureau of Statistics, Network Economics Consulting Group, the ANU College of Asia and the Pacific and ANU College of Business and Economics at ANU, as well as the Australian Centre for International Agricultural Research (ACIAR), for their generous financial support of these lectures. Bound copies of the Narayanan lectures can be purchased from ANU E Press.